Does your business need room to grow, but relocating or locking into an expensive commercial lease sounds unappealing? Metro Self Storage offers business storage solutions designed to meet your company’s needs. Our commercial spaces come with flexible monthly lease terms at secure and well-maintained facilities. Whether you need to meet the demands of an influx of seasonal inventory or store temperature-sensitive business inventory, tools, and equipment, we understand storage is not a one-size-fits-all solution. Our competitive pricing, outstanding service, facilities with 24-hour access, and online account management are just a few of the reasons to choose Metro for your business storage solution. You can upsize or downsize your storage unit or vehicle parking space at any time without penalty. We believe in giving businesses a bottom-line-friendly approach to their shifting space requirements. Backed by our Customer Satisfaction Pledge, and with more than 40 years of experience in the storage industry, you can count on Metro to offer your business a solid storage solution. WHAT TYPE OF BUSINESS STORAGE DO I NEED? Do you need to free up expensive office or warehouse space? Renting a business storage unit gives business owners a cost-effective way to store excess inventory, furniture, files or electronics. If your company is remodeling, relocating or downsizing, using secure off-site storage on a short-term basis is an affordable solution. The flexibility of renting as much space as your business needs without signing long-term, and often complicated, commercial lease agreements is why Metro Self Storage is a great solution for your storage needs. What happens if my medical or professional office lacks storage space? Your patients and clients count on you for privacy and security, and protecting their confidentiality is of utmost importance. Renting a secure business storage unit gives you the ability to store important records, patient files, business archives, and other private business items with confidence. Can I rent a business storage unit to store tools and equipment? Absolutely! Building and landscape contractors frequently rent drive-up storage units at Metro Self Storage. Outdoor garage-type spaces are available in a wide variety of sizes and are ideally suited for tools, trailers, and equipment. Whether you start the day at the crack of dawn, or work late into the evening, all Metro locations offer extended access hours and many offer 24-hour access. Why should I rent a storage unit to store extra business inventory? Renting a storage unit short term is ideal for the extra inventory that retail businesses acquire for holidays and high-volume shopping seasons such as Thanksgiving and Christmas. Realtors, home stagers, special event planners, retail stores, and restaurants, can all benefit from renting a business storage unit at Metro Self Storage. 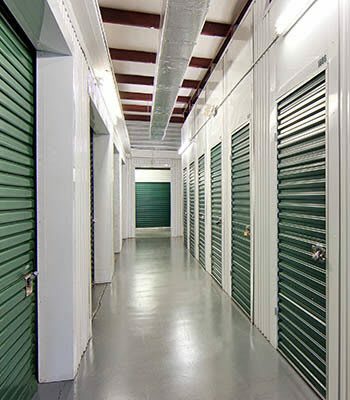 The ability to rent for as much or as little time as you need without the hassle of relocating or signing a commercial lease makes renting a business storage unit a bottom-line friendly choice. What are the advantages of renting a mailbox? If you live in an apartment complex, a dorm, or travel frequently, why not consider renting a mailbox? Having a personal mailbox can help protect you from identity theft, and it is a convenient and hassle-free way to receive your mail. Select Metro Self Storage locations offer mailboxes for rent, and all location accept deliveries. Are you looking for a modern approach to self storage? You can count on Metro Self Storage facilities to provide you with clean, secure, and well-lit storage solutions 365 days a year. 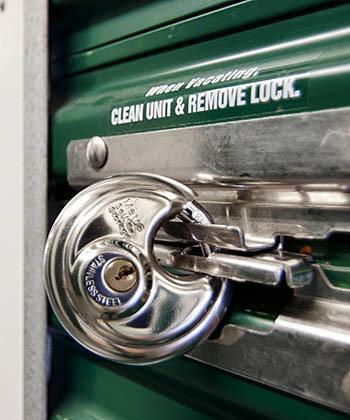 Our well-maintained and modern storage facilities offer value, security, and convenience—it is what we call the Metro Advantage. Our goal is to make the choice to store with us a simple one. We take security seriously and as such put you and your belongings first in everything we do. We invite you to reserve your business storage unit with our free seven-day storage hold and to stop by your nearest Metro Self Storage location to meet with a member of our professional storage team.